My name is Reverend Katherine Bourbonniere. I am a Child of God, Mother, Wife, Daughter, Sister, and a Priest. Each of these vocations I have been called into and, on a constant basis, seek to find balance among them. I am thankful to God each and every day that I have been blessed with all of them. At the Church of Saint Andrew I fulfill the position of Rector. I work here full time amongst an extremely supportive group of lay and ordained leaders. I have three degrees, a Bachelor of Human Ecology (major in Family studies), a Bachelor of Education, and a Masters in Divinity. I am an Alumni of Mount Saint Vincent University and the Atlantic School of Theology. I grew up in Dartmouth, Nova Scotia. I have two brothers and a sister. My husband of ten years has also grown up in Dartmouth. I have two beautiful children who are the light of my life! My passion is Dance. I have a Liturgical Dance group here in the Parish (Miriam) and I continue to further enhance my Dance training through various venues in this city. I have attained Associate Dance Teacher Status in Stage and Ballet. I have danced and taught with Dartmouth Dance Academy, Maritime Conservatory and Antigonish Creative Dance. I love children and believe in their ministry to us. I enjoy involving children in our Parish, but most of all I enjoy developing family. As family, not everything is perfect but we all know we are there for one another. Family is where your heart is, and I pray that our Church will continue to grow as a family and that each person who comes here can find a place to be their unique selves. My name is Walter Beazley and I am an Assistant Priest at the Church of Saint Andrew. 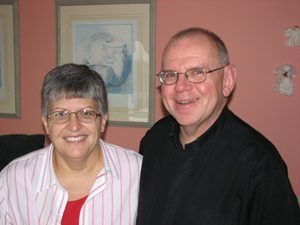 Brenda and I were married in 1975 and have been involved in the life of this Parish since the early 1980’s. We have a son and a daughter who have grown into wonderful, caring adults. Both are now married and have careers in Nova Scotia. And we now have a grandson who adds even more joy to our lives! As part of my faith journey I became a member of the Third Order of the Society of Saint Francis making my life profession in 1995. I was ordained Deacon in 2002 and Priest in September of 2003. I have a Certificate in Theological Studies from the Atlantic School of Theology. My primary role in the Parish is Liturgy Coordinator. I participate in most services and as co-chair of the Liturgy Planning Team I help lead a passionate group who plan our liturgies. I also participate in the Non-Stipendiary Ordained Ministry Program’s ongoing formation group. I have a full time weekday job in Halifax which keeps me busy during the week. Managing my secular employment, my Parish activities and spending time with my family certainly keeps me busy. The key is finding the right balance – an ongoing challenge! The opportunity to serve God within this Parish has long been and continues to be a labour of love. 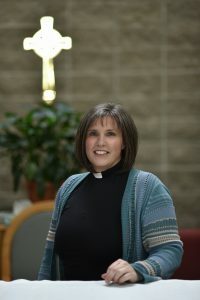 The Church of Saint Andrew is a place filled with amazing people who live out the Gospel in word and action and it is a great privilege for me to be a part of and to minister in this community of faith. 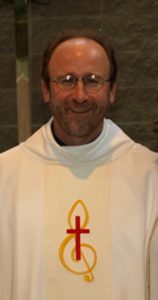 My name is Gary Giles, and I am an Assistant Priest at the Church of St. Andrew in Cole Harbour where I am a 7th generation member of our parish. My wife Dawn-Marie and I were married in 2005. I have 2 grown children, Lindsay and Dan, and 2 step daughters, Victoria and Jessica. I have answered God’s call as a member of Parish Council, Warden and was Ordained a Priest on May 13th, 2010. As part of our ministry team, I offer myself in the role of Spiritual Development. Through different types of programming, we offer the opportunity for all ages to develop in as many aspects of spiritual growth as one can imagine. Whether it be within small or large discussion groups, video or music, we work towards a loving and nurturing relationship with our Lord. In my day job, I am Divisional Manager; Safety and Compliance for the Perry Rand Transportation Group. In my “down time” I am a part time musician and also enjoy spending time with our 2 Arabian horses. The Church of St. Andrew is not only a large part of my family history, but a very important part of my life in Christ today.